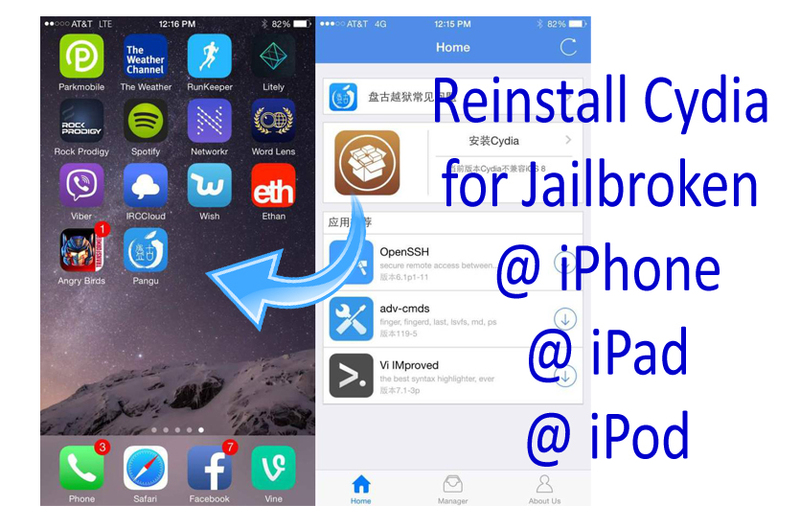 How to (re)install Cydia for jailbroken idevices? 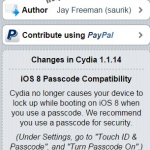 Home › About Cydia › How to (re)install Cydia for jailbroken idevices ? Those are the some of comments we have received during the last few days. According to that, we noticed one of a common problem for many jailbroken users. That’s why we decided to answer the common question, How to reinstall Cydia for already jailbreak iOS devices. Accidentally, Cydia can be removed from your jailbroken devices. Then, it makes much difficult to find, download & install jailbreak packages for your idevice. There is not worth a jailbroken device, without Cydia in it. You can not arrange and customize your device without help of the Cydia app. However, you are fortunate to get Cydia back on your idevice without doing rejailbreak. There are few ways to install Cydia again and try one of them with more appropriate. If you are with an early idevices, most probably this will work for you. So you can reinstall Cydia using redsn0w jailbreak tool. Download latest version of redsn0w for Windows / redsn0w for Mac on your computer. connect your device through USB cable to the computer and run redsn0w. Make sure to only check “Install Cydia” checkbox and click “Jailbreak” to proceed. Then, Cydia will be installed on your idevice. Cydia will be installed on your idevice. 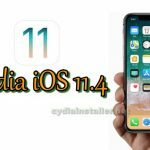 You may be able to install Cydia using this method. Click here for all information about this. These are the available methods to reinstall Cydia for jailbroken idevices. We wish one of them will work for you. However, if some one fail of all, you must have to restore your device to latest iOS version compatible with your device using iTunes and rejailbreak with Cydia install. Following link will be direct you to install Cydia for any idevices with any iOS version running. your device & iOS version..?? OMG THANK YOU SO MUCH MATE!!!!! I was unlucky to delete in Sydia menu a file called something “***71**” as I thought it referred to completed jailbreak procedure and not needed any longer. Have iPhone 4 with iOS 7.1.2 jailbroken with Pangu 1.2.1. OpenSSH has been installed but it does not work, no SFTP, no commnad line available. iFile app is useless as Mobile Safari does not start either. By repeated running Pangu I could see my device has Jailbroken status. What is a right step to make device working properly and with Sydia? How to fix this and the other problems specially ‘Hash Sum missmatch’?!! What is your iOS version.? Where is the dowloaded file in ifile? i can’t search it ..
Did you already jailbroken your device ? If Cydia with you, Open Cydia — > Search –> Enter iFile — > Then install it. You can install Cydia for iOS 8. What is your iOS version ? i accidentaly deleted my cydia,im in ios 9.1 which step i have to do? ?the first one it didnt work. Please use third party app like iFile to install Cydia. u mean the that used deb file??? Hey im on ios 10.2 jailbreak, and i dont have ifile, filza or ssh… i can use impactor to get ifile but it never installs cydia. please help me. Yalu102 doesn’t install Cydia? What’s wrong with Yalu?? I have the same problem. I had iOS 10.2 Jailbreak via Yalu, but I accidentally deleted the cydia app. I’ve tried iFile, but it won’t install any .debs, and I tried running Yalu again, but that won’t bring cydia back. You need to use third party app to install Cydia files to your device. If same error appear, Please reboot your device.